Homes for Sale in Polo Fields | Louisville, Kentucky | Polo Fields Subdivision | Louisville MLS | Joe Hayden Realtor - Your Real Estate Expert! Learn more about Polo Fields Homes for Sale by browsing the property listings below. The Polo Fields Subdivision is located in Louisville, Kentucky. The Polo Fields Subdivision is located in Eastern Jefferson County off of Flat Rock Road convenient to Louisville, Kentucky. There are several subdivisions combined together that make up Polo Fields real estate. You will find luxury homes, executive homes, patio homes, mid-priced homes, plus a variety of amenities such as a championship golf course, a clubhouse, and a pool in the neighborhood. Homes in Polo Fields have remained desirable for Louisville residents and are worth considering if you are thinking about buying a home. Homes in the area range in price from $150,000 to $1,000,000. Many of the homes in the subdivision are constructed of brick and feature finished basements. There are several sections of the Polo Fields subdivision including: Creekside, The Estates, Creekview, The Meadows, and Chatham Park. Each section enjoys a distinctive construction style and a neighborhood feel. The golf course at Polo Fields is a Bill Newcomb-designed championship golf course. The Polo Fields clubhouse is over 10,000 sq. ft. and includes a pro shop. Polo Fields is located in Eastern Jefferson County with quick access to Downtown Louisville. The subdivision is found close to a related neighborhood, Lake Forest. Residents of the subdivision are able to enjoy open spaces, peaceful surroundings, plus because the shopping and amenities found along Shelbyville Road is so close, residents do not have to travel far from home for their daily needs. In addition, the neighborhood is near the Gene Snyder Freeway which allows residents the ability to travel to Interstate 64 and Interstate 71 with relative ease. It is features such as these that continue to draw people to buy a home in Polo Fields. You can find all Polo Fields Homes for Sale on the Louisville MLS listings below. 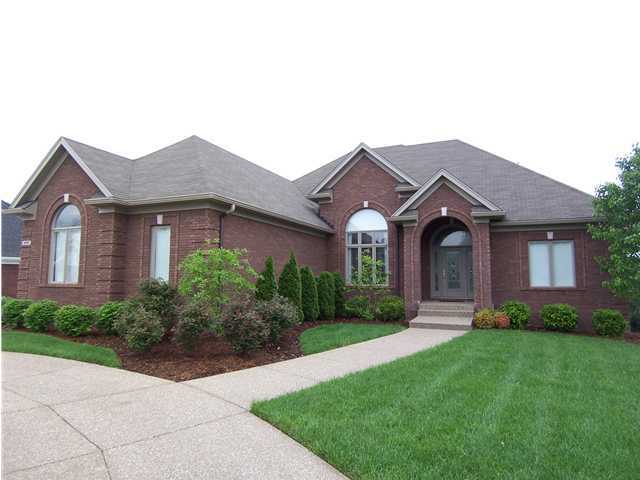 The Polo Fields subdivision is desirable and conveniently located near Louisville, KY.